ASUU has called off the university strike in Nigeria. 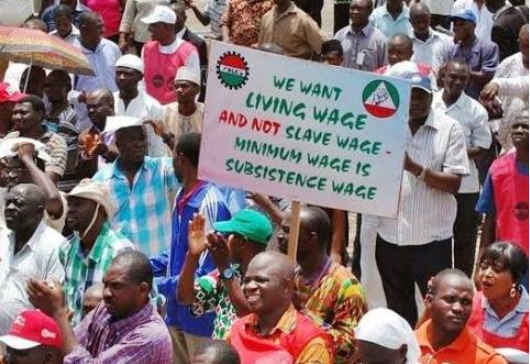 But the Nigeria Labour Congress minimum wage debate rages on. Eke Martins has a brilliant piece on the wage paralysis which he called "Pyrrhic Victory". It is logical to admit that the government of Nigeria cannot, or strongly ought not to put a flat minimum wage across the states in the Nation. An action in this direction reeks of two neat indices of feigned naivety: first, that every state in Nigeria has equal economic strength and a deliberate absentmindedness to the asymmetrical output of states over the years serving to unfairly cover for the inequities of some states in terms of their returns to the Gross Domestic Profit of the nation. Great point by Mr. Martins: I arrived at the same conclusion days ago. First, it is sheer lack of awareness to expect the governor of Zamfara state to agree to pay the same minimum wage as the governor of Lagos state. Yes, I do not expect Abia State governor to agree on any deal signed by the governor of Rivers State on minimum wage. Largely, Nigeria should not and cannot have a flat minimum wage: states should look at these elements with local data and conclude what makes sense. It is unfortunate that NLC has not figured that out with its one-size minimum wage for Nigeria.